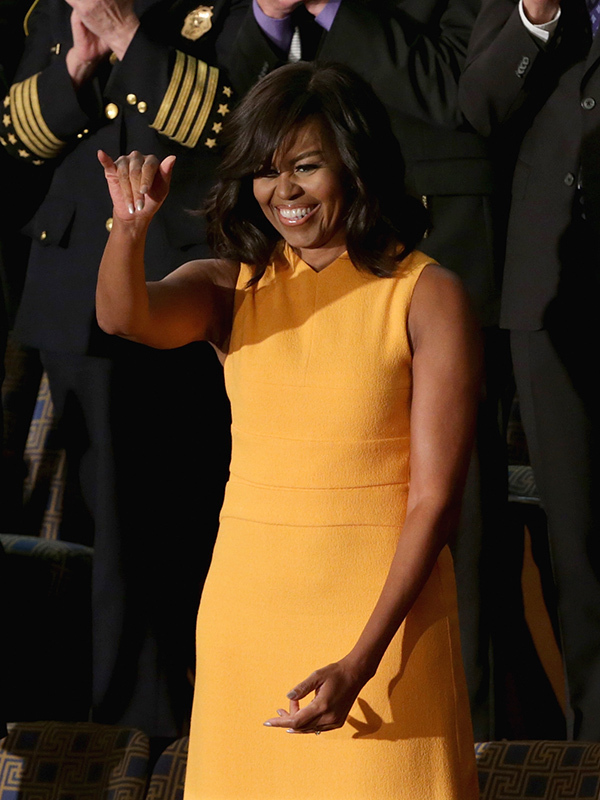 Without a doubt, in my opinion, First Lady Michelle Obama is THE most fashionable first lady that we've had. She has keep us all on the edge of our seats to see what she would wear next with fashions ranging from budget to couture. Her fashion sense is amazing and I love how she isn't afraid to step outside the box and take risks. 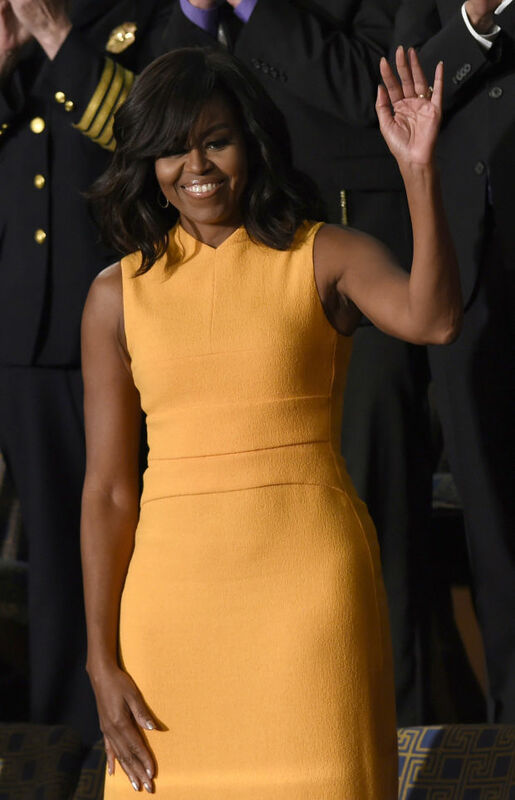 From varying her color choices and silhouettes, to her effortless hair, and most noticeably, her choice to show off her amazingly toned arms, M.O is simply stuning! We've only seen the top half of her look, and while I have my preferences of the perfect shoe, bag, and coat to complete this ensemble, I'd almost bet that the first lady stuck with one of her favs, and wore Jimmy Choo shoes. Narciso Rodriguez textured wool crepe midi dress. 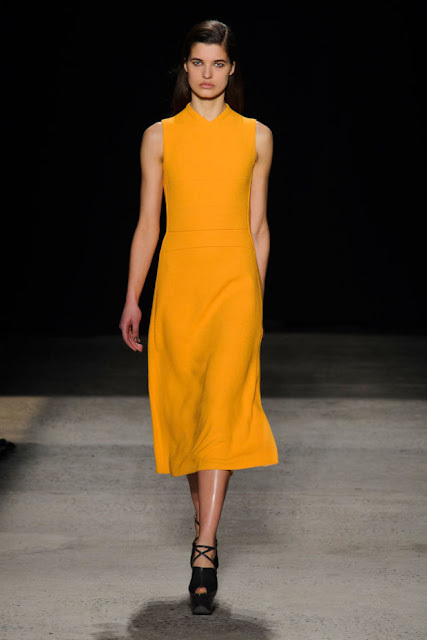 About Narciso Rodriguez - Sleek and often slinky, looks from Narciso Rodriguez have long been favorites of young Hollywood and in-the-know fashionistas. The designer honed his talent for ultramodern elegance while working at Donna Karan and Calvin Klein before launching his own line in 1997. His take on trends is always at the forward edge of fashion while maintaining all-important wearability.